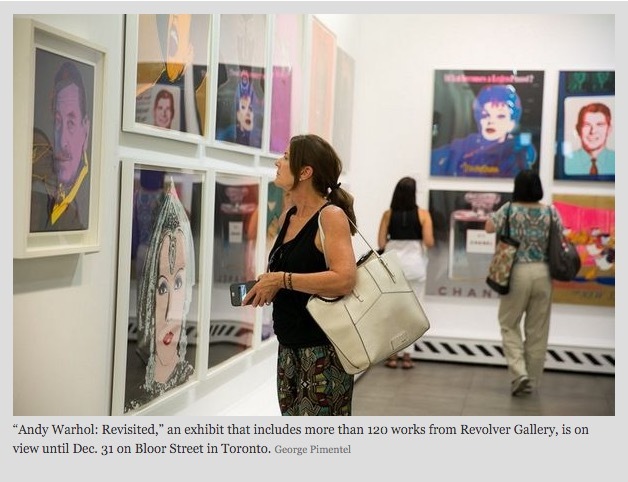 “The exhibition is the work of Toronto native and Los Angeles entrepreneur Ron Rivlin, who felt a Toronto Warhol exhibit was not only overdue, but would add to Canadian understanding and appreciation of an artist to whom he now devotes significant resources. Thus, 100-plus original Warhol works from Rivlin’s California-based Revolver Gallery, which is dedicated exclusively to Andy Warhol’s Pop Art, are opening eyes on Bloor.”…. Visit Buffalo News to read the full article.